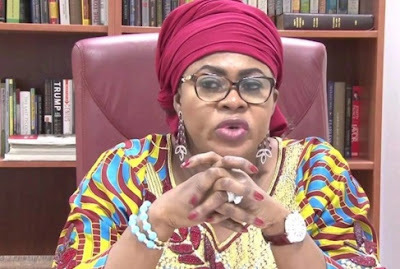 Former Minister of Aviation and Senator representing Anambra North senatorial district, Stella Oduah, has dumped the People’s Democratic Party, (PDP) for the All Progressives Grand Alliance, (APGA). The former Aviation Minister surfaced at the APGA national secretariat yesterday in Abuja and was received by members of the party national working committee led by its chairman, Victor Oye. She was accompanied by Senator Victor Umeh, the APGA senator in the National Assembly.